Home > Shop By Brand > Dodo Juice > Dodo Juice Purple Haze PRO Soft Wax 30 ml. Dodo Juice Purple Haze PRO Soft Wax 30 ml. What's better than Purple Haze? Some would say Stairway to Heaven, but we firmly believe it's Dodo Juice Purple Haze PRO, the super-charged version of Dodo's original soft wax for dark vehicles. Purple Haze PRO has even more carnauba wax and the same sealant ingredient found in Dodo Juice Red Mist. The result is a deep, glossy wax that lasts 3-4 months on average. Dark paint demands special care. Ask any detailer! Black, blue, and other dark paints have the greatest potential for depth and gloss. 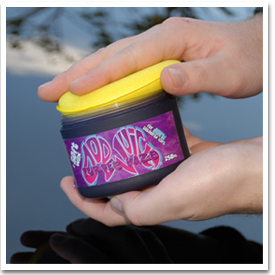 Dodo Juice Purple Haze Soft Wax is designed to help your dark vehicle reach its full potential. Dodo Juice Purple Haze PRO Soft Wax’s primary ingredient is carnauba wax, the world’s best protective natural wax. Only No. 1 grade Brazilian carnauba makes the cut for Dodo Juice waxes. Next dark beeswax and montan wax were added to enhance dark paint colors. Montan wax is a dark-colored wax extracted from coal that improves water repellency and gloss. It’s found in only a few locations in the world and, fortunately, Dodo Juice located some for their Purple Haze PRO Soft Wax. The makers of Dodo Juice wanted to take the Dodo Juice Purple Haze formula a step farther to create a stepping stone to their world-famous Supernatural Wax. Purple Haze PRO has more carnauba wax and the protective sealant ingredient found in Dodo Juice Red Mist to give the wax longer durability. A fresh new scent completes the transformation. Dodo Juice Purple Haze PRO Soft Wax protects the paint from rain, UV rays, and dirt with an ultra slick, reflective coating. It protects as well as the original formula but lasts longer and feels even slicker when layered. 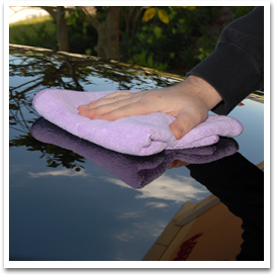 If you have a black or dark colored vehicle, bring out its dark side with Dodo Juice Purple Haze PRO Soft Wax. Use a soft foam or microfiber applicator to apply Dodo Juice Purple Haze Wax. As with any car wax, we’ve found that the best results are obtained on a clean, smooth paint finish. Use a prewax cleaner, like Dodo Juice Lime Prime Pre-Wax Cleanser, to remove old layers of wax and improve the paint’s texture. Then apply a layer of Dodo Juice Purple Haze Soft Wax using a soft foam applicator or with your bare hands. Allow it to cure for 5-10 minutes. Since the cure time is relatively short, we found it easiest to work in sections. Buff off the wax with a soft Cobra Deluxe Jr. 600 Microfiber Towel. Apply another coat after 24 hours if desired. Dodo Juice Purple Haze PRO Soft Wax 200 ml. Best wax ever used. 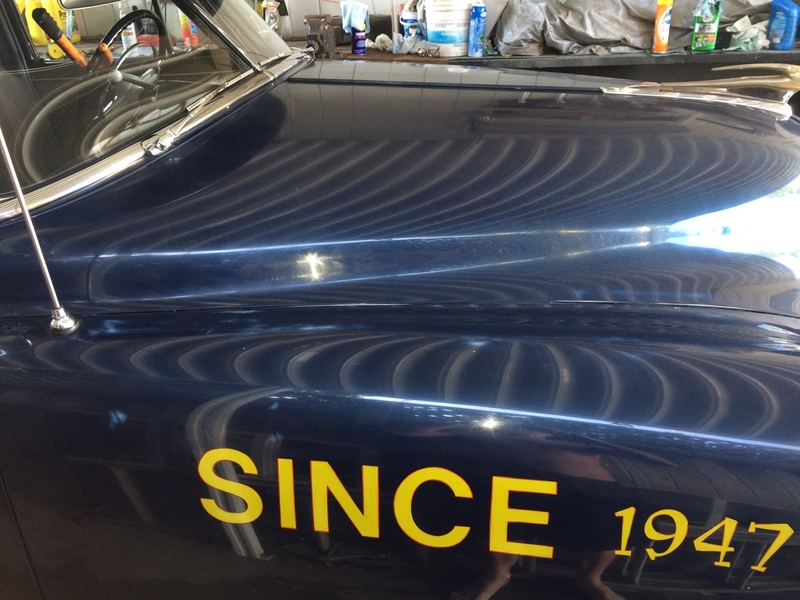 My 51 Chevy Sedan Delivery has the original laquer Midnight Blue paint. Smooth as silk now & can see in to it like a mirror. This wax leaves no white in the checked paint. Highly recomend for dark color car. ProsEasy to apply & buff, works GREAT on dark color. Im usually a sealant guy but i do love a good shine that only waxes can do. ive tried a few other waxes and then i heard about purple haze. i put a layer of sealant on first, let it cure and a layer or 2 of purple haze. it gives my black car a deep wet gloss and protects for a couple of weeks. i usually wash and wax every few weeks but ive noticed the purple haze's beading fades after 2 or so weeks. This stuff is really cool, it's my first of the higher end waxes that you can't get at auto parts stores and I'm very impressed with it. I've easily got enough for maybe 8 more applications and the shine is very impressive, makes my 98 Black TA look wet all the time. I'm hoping it lasts 2-3 months like it's supposed to but we'll see. First wax I've ever used from Dodo, and the results are FANTASTIC! I was surprised at the small size of 30ml (1 ounce! ), and didn't know if I'd evenb get one coat on my dark Gray 530i BMW, but as it turned out, I still have plenty left for another coat or two! The wax went on easy as can be, and wiped off just as easy. The depth to the shine is wonderful! I believe in the Dodo, and will use nothing but their products going forward! Believe the hype!!! !